Back in 2009 I started broadcasting a live weekly talk show every Wednesday on Blogtalkradio.com at Noon Pacific time (3PM Eastern). On the show I interview interesting and passionate people about their involvement in: Social Media, Non Profits, Causes, Start-ups, Entertainment, Education, Business, Technology and more. It’s a labor of love, no agenda (other than enjoying conversations and providing valuable content! ), no expected benefit, free of the burdens of performance anxiety. I’ve been fortunate to have had some wonderful guests that have shared great conversation, inspired and educated me on a variety of topics. Never want to miss an episode? Sign up for the RSS feed so you know if it starts back up again, otherwise feel free to browse the episodes below! Are you interested in Manufacturing? I am now recording episodes for Manufacturing Advocates Podcast, which launched during Manufacturing month, October 2016. I am always on the lookout for interesting and inspiring guests, please feel free to contact me if you or someone you know might be a good guest. Going to be a guest or want to listen? 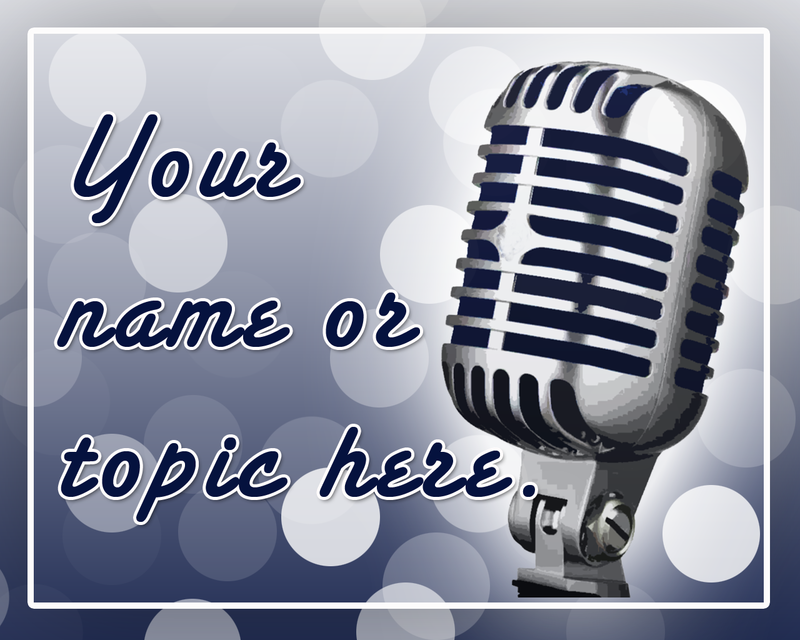 You might also want to check out this blog post about getting the most out of a Blogtalkradio podcast. If US Manufacturing is your thing, hop over here and make a suggestion. Elon Musk – it’s not surprising that Elon Musk is the real world inspiration for Tony Stark the character portrayed by Robert Downey Jr. in the Iron Man films. I think Elon and people like him that are yet to emerge will be the ones to carry this world forward. There was a time when innovation was driven by government, Elon Musk is proof that the private sector can have a huge impact on how we live and do things in the future. John Ratzenberger – known for his role as Cliff Clavin in Cheers and numerous Pixar voices, now a big advocate for US Manufacturing. I would enjoy co-creating an hour of content with John in order to contribute to the important discussion about the value of US Manufacturing. This is a subject I write about extensively now on my business blog. Valerie Pezzullo – MT Connect Challenge2 winner. An engineering student at Clemson University. I believe Valerie is a exceptional role model for the younger generation and a reminder of the importance of STEM education in our schools. Discussions with role models result in inspiration for future generations. Ed Stafford – the first person to walk the entire length of the Amazon river. A triumph of the human experience, an adventurer in every sense of the word. Ann Faraday (Author of the Dream Game) and Queensryche Guitarist Chris DeGarmo (together) because of the connection of the song Silent Lucidity with the book. I was very interested in dreams when I was a child and The Dream Game is one of the most memorable books of my childhood (along with Robert L. Asprin’s Myth Series). Years later I realized that there is a quote from the book in Silent Lucidity and made the connection. Matt Nix, Screen/television writer – Burn Notice. He is from the bay area, very close in age to me and creates great characters in his work. Ronn Owens, Radio Show Host. I’ve listened to Ronn for 10+ years on KGO. Ronn is a very interesting guy, knowledgeable and reasonable. Ronn has a thought process that contributes to progress. Warren Buffet, investor. I find Warren Buffet to be a extremely fascinating person. I’d like to talk to him about Philanthropy and Business (along with his pal Bill Gates). Bill Gates, philanthropist former head of Microsoft. I would like to discuss Philanthropy and Bill’s past as head of Microsoft. Dr. Michio Kaku, theoretical physicist. I wish I had Dr. Kaku as a professor when I was in school. This is a guy who I think can get people fired up and excited about mind bending physics and science. Seems to be a genuinely nice guy too. Any Mythbuster, TV science/entertainment. They get to blow stuff up and test internet/other myths. As a skeptic and fan of tinkering and explosions it would be fun to live vicariously for a few moments through the experience of any of the show hosts. Ricky Johnson, pro motor sports racer. During my teen age years I remember watching Ricky Johnson dominate Super Cross. I actually got to watch him and another team Honda rider practicing and jumping cliff jumps at the end of Palm Ave. As an adult it would be fun to learn more about the life of a Pro motor sports racer and who better than Rick Johnson? Gary Sinise, actor and hero advocate. I’d like to thank Gary personally for the work he does for people who work to keep us safe. I think Gary is the epitome of a actor doing good for others. He has some very unique experiences and is a brilliant actor as well. Mike Holmes. Holmes Inspection and Holmes on Holmes on HGTV. The man has a passion for quality work and solving problems. Also appears to be a genuinely nice guy. Steve Wozniak. Legendary co-founder of Apple. Personality and intelligence are a very powerful combination. Myles Kennedy, Mark Tremonti, Brian Marshall or Scott Phillips from Alter Bridge. These guys rock, make you think and their music doesn’t contain a single bit of profanity so my son gets to enjoy it too. I’d like to know more about what makes this band tick. Malala Yousafzai – the young woman who has given a voice to the victims of violence and oppression while conveying a powerful message of peace.